Hyderabad: The serious differences at the CPM meet in Hyderabad over whether or not to involve the Congress to take on the BJP may finally be resolved, with the top leadership deciding to omit a critical phrase "no understanding" from the official draft political resolution. The critical issue in the intense debate centred around whether the CPM should join hands with "all secular, democratic forces", including the Congress, to fight the BJP. At a politburo meeting this evening after two days of debate on the draft resolution, top leaders discussed the demands put forth by several delegates regarding voting by secret ballot on the document. The leadership instead chose a middle path by deciding to amend official draft by omitting the crucial phrase "no understanding" with the Congress, which was a victory of sorts of the "minority view" held by General Secretary Sitaram Yechury. 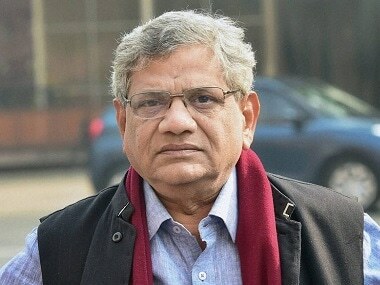 The official draft, backed by Prakash Karat, had said that the party should unite all secular democratic forces "without having an understanding or electoral alliance with the Congress party". But in the amended document, it is now written that the party can unite secular democratic forces "without having a political alliance with the Congress party", thus keeping the doors open for an electoral understanding. "There can be an understanding with all secular Opposition parties including the Congress in Parliament on agreed issues. Outside Parliament, we should cooperate with all secular Opposition forces for a broad mobilisation of people against communalism. "We should foster joint actions of class and mass organisations in such a manner that can draw in the masses following the Congress and other bourgeoise parties," the latest version of the crucial political document says. Earlier, Karat had said it was not the party's practice to disallow someone from taking responsibility even if he or she holds a minority view, in an apparent indication towards speculations regarding removal of Yechury in case his minority view on the draft political resolution gets defeated at the ongoing party congress. "In our party, there is always a majority and minority view. In all our political discussions, it is a normal thing to have divergent views. It is not a new thing. Once different views are expressed and it is collectively decided by a vote, then it becomes a collective opinion of the party," Karat had told a press conference on the sidelines of the congress. Replying to questions, he said: "In our party, everybody has the right to express their views in the right forum. Some minority view person cannot take responsibility... ..that is not our practice." Regarding the demand for a secret ballot being raised by several delegates opposing the official draft political resolution, Karat said though this was an unprecedented demand, it has never been practised in the party congress. "There is no instance for voting on a resolution by secret ballot so far in our party congress.It has never happened. It is not our practice. We never had this practice but this is the highest decision-making body. 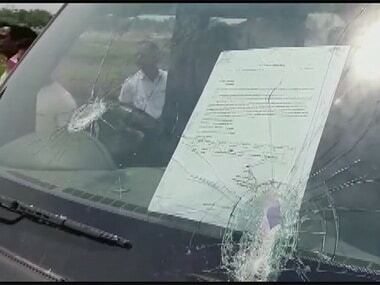 Let us see what our delegates say about this", he had said. On the second day of discussions on the draft political resolution, several more delegates supported the demand for a secret ballot. Some of them also submitted this in writing. On Thursday, the demand for a secret ballot was raised by a delegate from Maharashtra, who referred to the recent massive farmers' agitation there and said that the CPM's peasants wing, All India Kisan Sabha, was able to unite the farmers, cutting across political lines. 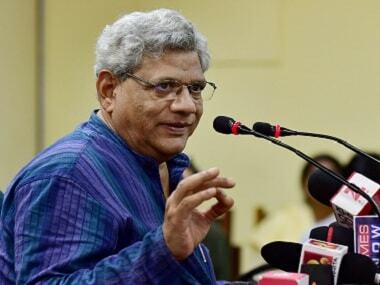 Toeing Yechury's "minority line", he had said if the party differentiated between secular parties, then the BJP would take the opportunity away. His views gained support from delegates from several states during the debate both on Thursday and Friday. 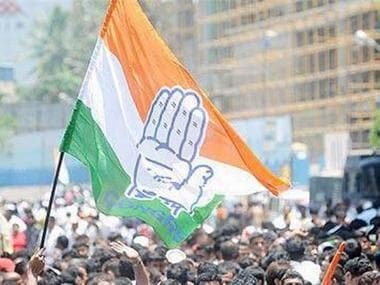 The critical issue in it centres around whether the CPM should join hands with "all secular, democratic forces", including the Congress, to take on the BJP. 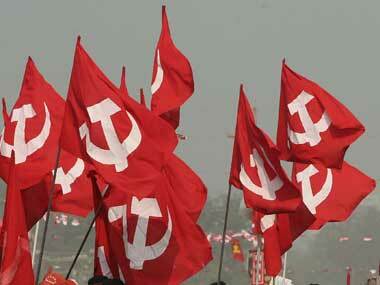 While the Karat faction has been against any understanding with the Congress, the Yechury faction has favoured joining hands with all secular parties to fight the BJP in the changed scenario, especially after the recent ouster of the CPM-led Left Front from Tripura as well as the victory of a united Opposition in Bihar and Uttar Pradesh in the recent Lok Sabha bye-elections.